Asking “how do I choose a drumhead”? Wondering what the best drumhead is for a certain style of music? Read on, we’ve got you covered. This page is dedicated to one thing: Helping you find the best drumhead(s) for your kit. Changing drumheads is the quickest way to improve your drum sound, so read on to find the best drumhead for you. Want the best drumhead in the world? There’s no best drumhead out there. The best drumhead (and the right drumhead) depends entirely on your sound, and your style. Asking “what’s the best drumhead?” is like asking “what’s the best food?” – you’ll get some people screaming “pizza”, others telling you it’s definitely a healthy salad, and some people insisting it’s cheese. Anyone who tells you “this is the best drumhead” has missed the point entirely. Because they don’t know what music you play, how hard you hit, whether you want your drums to ring out, how fat/warm/bright you like it, etc, etc, etc. The best drumhead for one drummer will be entirely different to the best drumhead for another. It all comes down to your personal taste, so focus on the sound you want when you’re deciding on the best drumhead to buy. That’s where this guide comes in: keep reading to discover the best drumhead for you. We’ve got everything you need to know to get the best drumheads for your kit, to make your drums sound exactly how you want. Don’t just take someone else’s opinion on the best drumhead. 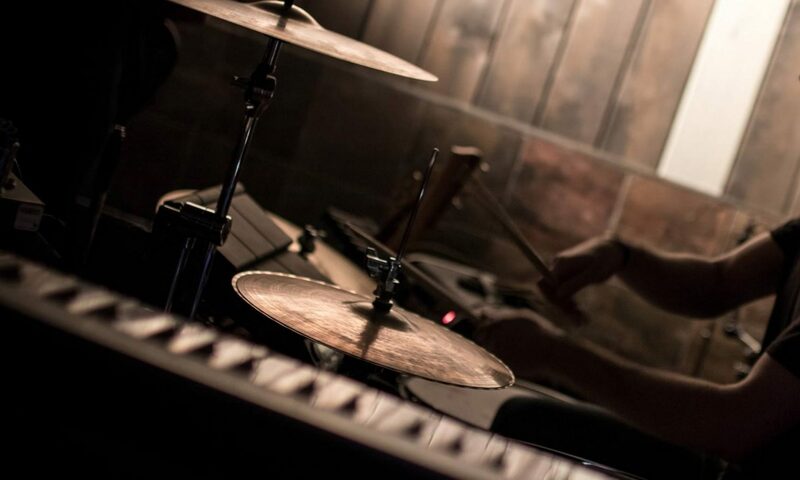 Learn these important things and you’ll be on your way to becoming a drum sound master. Everything here is specifically written to help you find the best drumhead for your kit and your style. The best drumhead will change depending on your music type, playing style, and your preferred sound. Using really old drumheads? Take those dented, worn out heads off your kit: A new set of heads can make even a cheap drum kit sound surprisingly good, and they can inspire you to play in new ways. Got a new drum kit? The heads that come with a new kit are usually lower quality (but still very usable if tuned well)… these heads may not last as long, and might not hold their tuning as well as you might expect. Unless you’re buying a professional-level drum kit, you usually won’t get the best quality drumheads coming with a new kit. Note this is even true for drumheads like the Remo UT or UX… Even though they’re ‘Remo’ branded, these are lower quality drumheads compared to the rest of the Remo line. Tip: Clicking on any of the links below will let you see more of those drum types, or give you more info on that specific head. The sound is one of the biggest factors when deciding on the best drumheads for your kit. To simplify things a little, a drumhead’s sound comes down to the overall tone (from bright to warm), and the amount of ringing. Here, “bright” can be thought of as higher-pitch, and “warm” as darker-sounding. The ringing from a drumhead is a combination of the sustain and the overtones you hear after you hit the head. Sustain is a more focused ringing (think of this as the pitch that you’ve tuned the drumhead to). Overtones are the different frequencies of ringing that occur around the edge of the drumhead (these are different from the pitch of the sustain). If you’re totally unsure of which drumheads to buy, the best choice is go for something not too thick, with less or no dampening. Because this will give you a wider range of sound options, and it will let you learn how to tune. You can apply drum dampening later to control the ringing and make the sound warmer, but you can’t remove dampening if it’s built into the drumhead. 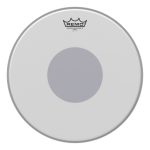 The Remo Ambassador is one of the best drumhead choices here – this is one of the world’s most popular heads, and for good reason: It gives you a huge range of sound options depending on how you tune it, and how you dampen it. If you know that you don’t want your drums ringing out too much, or if you really struggle to tune, then keep reading and check out some of the other options below. Want to stop your drums ringing out? Then the best drumhead for you is one with built-in sound control. Center dots (on the topside or underside of the drumhead) control some of the ringing. Sound control features like inlay rings and control rings reduce overtones, giving more focus to the sound. Some drumheads have removable dampening, giving your more versatility with your drum sound. Evans Dry drumheads have small holes drilled around the edge, which cuts out a lot of the ringing. Some bass drumheads have felt strips attached to the inside, reducing overtones and making the sound warmer and fatter. 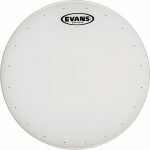 If you’re looking for the best drumhead to stop drums ringing, take a look at the Evans Hydraulic. These have a layer of oil inside, producing a nice deep warm thud without overtones, and with a very short sustain. Evans Hydraulic heads are also very easy to tune, because they’re designed to reduce the strange ringing that can occur around the edge of the head. Durability refers to how strong the drumhead is, and how much it can handle long-term heavy playing. What you buy here will depend on your style of music, and how hard you hit. If you’re a heavy hitter (or use very thick drumsticks), choose a more durable drumhead (this means a thicker head, usually 2-ply). Thicker drumheads are best for rock, metal, punk, and anything that requires hard and loud drumming. Thinner drumheads can’t handle too much abuse, meaning they won’t last as long if you’re a hard hitter. If you’re looking for the best drumhead for hard hitting, a great choice is the Aquarian Hi-Impact: these drumheads are extremely durable. The Aquarian Hi-Impact is a very thick 2-ply head, and it also features an added reinforcement dot, making it even stronger when hit in the center. On the flip side, if you play medium or lower volume music, it’s best to buy drumheads that aren’t too thick… Thick heads won’t sound their best at low volumes, and they won’t be sensitive enough for lighter playing. A great drumhead for quieter drumming is the Remo Diplomat. This is a very sensitive head that will pick up light touches (like ghost notes) extremely well. If you need an all-round drumhead that is both durable and fairly responsive, the Remo Controlled Sound X is made for you. 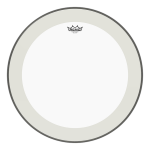 This is a relatively thick single-ply drumhead, with a reinforcement dot in the center for extra strength. The Controlled Sound X is a little thicker than the regular Remo Controlled Sound, but is still fairly sensitive for when you need to do some lighter touches. 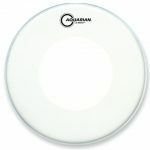 These features make it one of the best drumheads for those wanting a middle-ground between good durability and good responsiveness. It can handle hard hitting, but it’s also sensitive enough for some lighter playing. The ply refers to how many layers of film are used to make the drumhead. Some heads are made with a single sheet of film (1-ply heads), while others are made with two layers (2-ply). 1-ply drumheads (also known as single ply) have more colour and character, and are the best drumheads for quieter or medium volume music. They’ll contribute a lot to your sound, and they’re very responsive to lighter touches. These are usually the best drumheads for jazz, acoustic rock, church, or any low to moderate playing situation. So what is the best single ply drumhead? The long answer (which you’ve probably already guessed by now) is “it depends”. 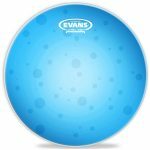 If you want the short answer: The Evans G1 is one of the best single ply drumheads around, and it’s an extremely popular choice for drummers worldwide. The G1 is a responsive head that works very well across most styles of music. It has a great tuning range, and is quite versatile. Importantly, it’s not too thin, meaning it’s great for low and moderate volumes, but will also handle a few harder hits here and there. 2-ply drumheads (also known as dual ply or double ply) are the best choice for louder types of music. These will give you a better attack, and will cut through in loud environments like rock, metal, or punk music. Best of all, 2-ply drumheads can handle heavier hitting, especially the thicker drumhead varieties. Looking for a great 2-ply drumhead? For a loud sound that will stand out, the Clear Remo Powerstroke P4 is one of the best drumhead choices. These heads have great projection, and are very well suited to loud environments. The clear plies of film can produce a big attack, so you can cut through even when you’re competing with huge guitar amps and a loud PA system. Clear drumheads will be slightly brighter, with slightly more sustain and attack than coated drumheads. Search through the range of clear Aquarian, Evans, and Remo drumheads here. Since clear drumheads stand out more, they’re the best drumheads for louder situations (rock, metal, punk music), especially on toms. The Remo Emperor or Aquarian Response 2 are two of the best clear drumhead choices. Both of these heads are well suited to louder music styles… They can handle heavy hitting, and will produce a big full sound (especially when hit with some force). Coated drumheads, like the name implies, have a thin coating applied to the top of the head. These drumheads are dampened very slightly by the coating, making them a little warmer sounding, with slightly less overtones than clear heads. Click here to search through the range of Aquarian, Evans, and Remo coated drumheads. On snare drums, coated drumheads are used more often than clear heads (see the next point on brushes to find out why!). Coated drumheads on toms and bass drums will give a slightly more mellow sound, making them the best drumheads to choose if you want those drums to mix well with other instruments. So what is the best coated drumhead? The coated Remo Ambassador is one of the most popular coated snare drumhead choices in the world. This head is responsive, very versatile, and is usable across a wide range of musical styles. 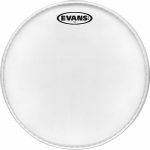 For less ringing and sustain, another great drumhead choice is the Evans HD Dry Coated. This head has small holes drilled around the edge, and an inlay ring on the underside. Both of these features help to reduce the ringing, and make this drumhead easier to tune. If you plan on using brushes, you’ll need to choose a coated, etched, frosted, suede, or calf skin / synthetic skin drumhead (especially for the snare). This is because clear heads are too smooth to respond to the brush strokes. If you choose a drumhead with a control dot, make sure it’s on the underside of the drumhead so brushes can move freely across the top of the head. 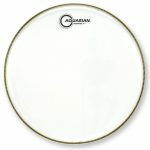 The Aquarian Modern Vintage is an excellent drumhead choice for brush playing. This head is very sensitive for both brushes and drumsticks, with a warmer sound thanks to the synthetic fiber coating. Best of all, it has a great look and a great sound. 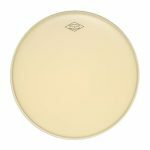 If you want to search through more options, here are a lot of other drumheads that are great for brush playing. A lot of the drumhead variables are relative. “Low” durability drumheads won’t break the first time you hit them, and they’ll last a long time if you treat them right. Don’t avoid these drumheads because you think they’re poor quality. However, if you’re a very heavy hitter, they won’t last as long as the thicker options… It’s best to buy drumheads with higher durability if you like to really lay into them. Keep this in mind when choosing a drumhead. The way you set up your drum kit can affect things. Huge angles on your toms can shorten a drumhead’s life (putting deep pits in them from hitting at an angle). 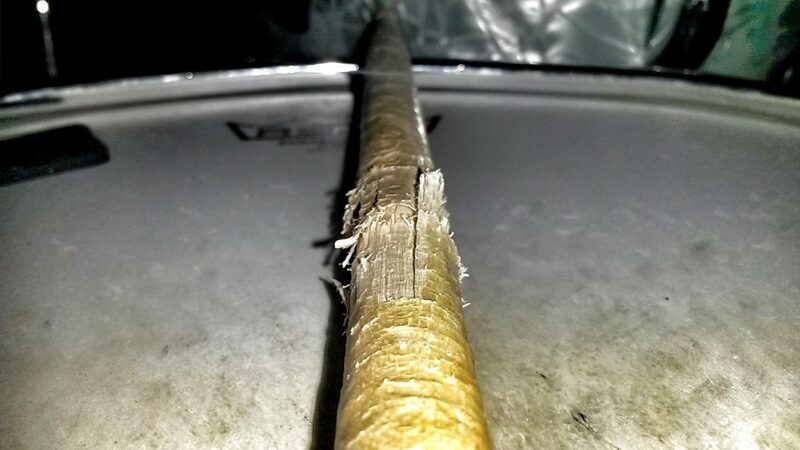 If you’re noticing dents from your drumsticks, the best thing you can do for your drumheads is to reduce the striking angle… Try to have your drums as flat (horizontal) as possible, while still feeling comfortable when you hit them. Tuning will have a huge effect on your drum sound. Drum ringing, sustain, overtones, brightness, warmth, fatness… As well as coming from the drumhead itself (and any dampening), your sound will change dramatically depending on drumhead tension and the evenness of that tension across each lug. Sustain will increase or decrease depending on whether the batter and resonant head are tuned to the same pitch. Heads can sound different depending on whether they’re tuned low or high – think about your tuning when choosing a drumhead. If you’re having a hard time tuning your drums, try a drum tuning tool. The Tune-bot is an excellent choice if you’re really struggling to tune… Using one of these can be the best way to get your head around drum tuning if you find it too difficult. Want to try a different brand’s version of a drumhead? 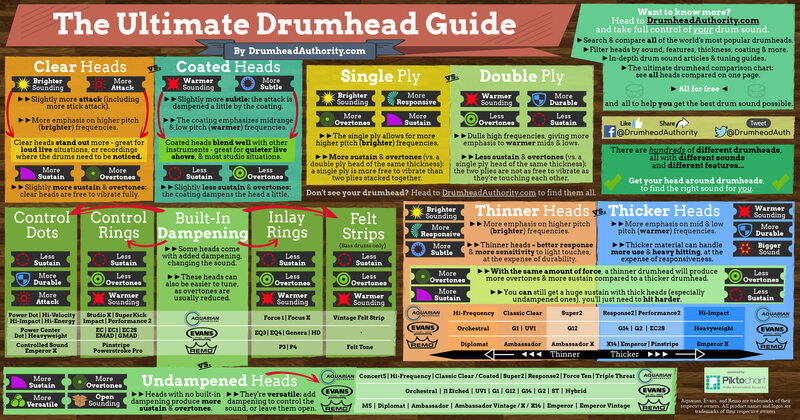 Check out the ultimate drumhead comparison chart. We’ve got over 130 heads listed in the web’s biggest drumhead comparison page, covering the huge range of Aquarian, Evans, and Remo drumheads. You can even use the search box to filter through the list. See where your drumhead choices fit into the bigger picture. Beyond changing drumheads, there are other options to change or improve your sound for little cost. You can modify your drums, especially the snare drum (for example changing snare wires, or upgrading your snare throw-off). Also, adding dampening or sound control devices to your drums, or using different sticks/brushes/rods/beaters are just some of the options you have. There are a lot of ways to change your drum sound without needing to buy a whole new drum set. Don’t follow the rules too much! There’s never just one way to tune, play, or sound. Most importantly, there’s no single absolute best drumhead to choose. Experiment with different drumheads and different tuning to find something interesting and different that suits you. Make an informed and educated choice, to get the sound you want – that’s why Drumhead Authority was created. Once you get your head around tuning and the important stuff, you can start to break the rules. 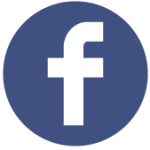 Okay – Ready to choose a drumhead? Go to our free Drumhead Selector now, the best drumhead search engine available. Use the options to search through drumheads based on thickness, ply, attack, durability, sound, special features, and a lot more. Narrow down the sound you’re looking for, and click compare to see your drumhead choices side-by-side. This is all here to help you find the best drumheads for your kit. Not sure what something means on this page? Check out the Drum Sound FAQ for all of the important stuff on one page. Understand all of the important stuff that contribute to your drum sound. Need help tuning? See the drum tuning guide, or click here for extra drum tuning tips.